This video is a great example of how "not to" do marketing ! Are you in need of "make my logo bigger cream"? Perhaps some "white space eliminator spray"? 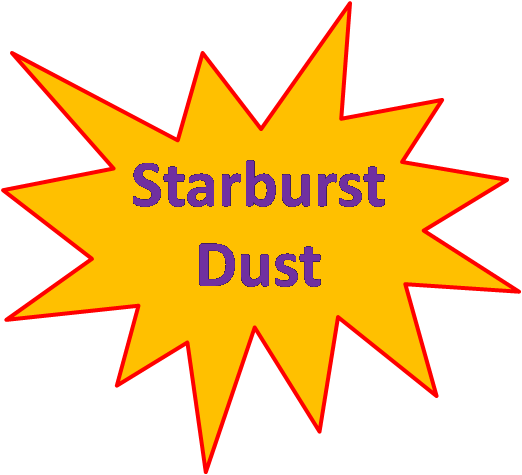 Or even a little "starburst spray"? Who is it for? Well-known brands such as Nike, Coca-Cola or Apple. These are strong brands that, can communicate using their logo alone. Who is it not for? Small/ Medium businesses that are less well known. The power of your advertising will be in the visual and copy - not in your logo. White Space Eliminator Spray Why use it?If you need to fit a large amount of information into a small space, and there's absolutely no way you can summarise or shorten it. Or if you’d like to increase the number of very confused internet users. Why avoid it? If you’d like a nice, aesthetically pleasing website – where your visitors can easily navigate, and find the information they’re looking for. Best used for: Grabbing the visitors attention, and taking them on a time-travelling adventure back to the 90s. Aim for bright, clashing colors – and if possible, flashing. If you can’t resist: we suggest that you use an alternative product: the sunburst effect – have a look here at the potential results. When to use it: When you’re not sure your site is getting the attention it deserves. Florescent colours are a sure way to attract attention. Can’t pick a colour? Simply use a “rainbow” of colours and set it as the background. That is so funny! I got my friend who works at a white label seo company to watch it and she was giggling the whole day.